Need a grandma? Now you can rent one. The Rent-A-Grandma company is expanding their franchise to the national market. Rent-A-Grandma accomodates people needing a grandma and women 50 or older looking for employment. Rent-A-Grandma is an employment service based in Los Angeles, California. Currently, the company employees about 45 women who are available to rent but they plan to expand their franchise to the national market. The company has already had 25 inquiries about franchising. The cost to franchise a Rent-A-Grandma is around $23,000. Rent-A-Grandma is a domestic agency that employes women 50 years of age or older. The women "grandmas" are paid at a rate of $16 - $23. 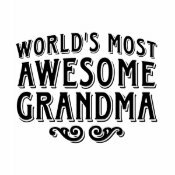 The "grandma" then pays the company an employment fee and / or a percentage of their hourly compensation. 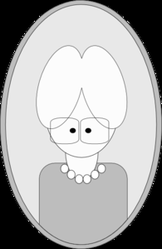 The "grandmas" are employed to perform grandma like roles, which may including cooking, cleaning, babysitting, giving advice, organizing, reading books to the kids. All Rent-A-Grandmas are carefully screened before being hired and meet the demand that you would expect from you own grandma. Need help with a party? Rent a grandma. Need child care? Rent a grandma. Need someone to cook you a home cooked meal or bake you cookies like your grandma use to? Rent a grandma! Need someone to keep your kids entertained with activities? To read them storybooks? To do cookie activities with them, like baking cookies? Rent A Grandma! Need some advice and guidence that only a grandmother could give? Rent A Grandma! To busy to walk your dog? Rent A Grandma? Sick and need someone to take care of you and cook you chicken noodle soup? Rent A Grandma. Need advice that only a grandma could give? Rent A Grandma. Need someone to help you plan your family reunion? Rent A Grandma. Need help cleaning out your closets, the garage or attic? Rent A Grandma. Need an extra set of hand with your holiday party or wedding? Rent A Grandma. Don't want to eat at a restaurant alone? Rent A Grandma. Don't have anyone to go to the movies with? Rent A Grandma. Have an elder parent that you need someone to sit with while you run errands? Rent A Grandma. Would you ever rent a grandma? Rent A Grandma is going to be publishing a Grandma advice type. They are looking for grandma and grandma inspired stories. If you have one, contact Rent A Grandma. Who knows, your story just may end up getting published in the Rent A Grandma book. 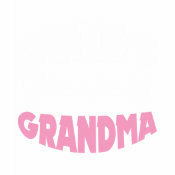 Click on any Grandma shirt for price info. This is cool! I actually saw this company on Shark Tanks a couple of months ago and it was interesting. I don't think they got any funds from the Sharks but I am sure the publicity will help! 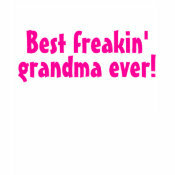 And to answer your question, yes, I sure could use a Grandma, sometimes, especially to help me get my house decluttered! What an interesting concept, I had never heard about it. Thank you! Sounds like a fun job, actually. And imagine -- being over 50 as an asset for employment! I'm not sure about this, some of the tasks seems more in line with home health care. However, the concept I like, but if I ever were to rent a Grandma it would be for the fun things, not for chores. The New England area is a great place to explore the great outdoors, and families with kids can find lots to do in New Hampshire. When a child dies suddenly, something in the parents' lives also dies. It's easy for parents to think they will never recover. I offer hope to these parents. I've been there.